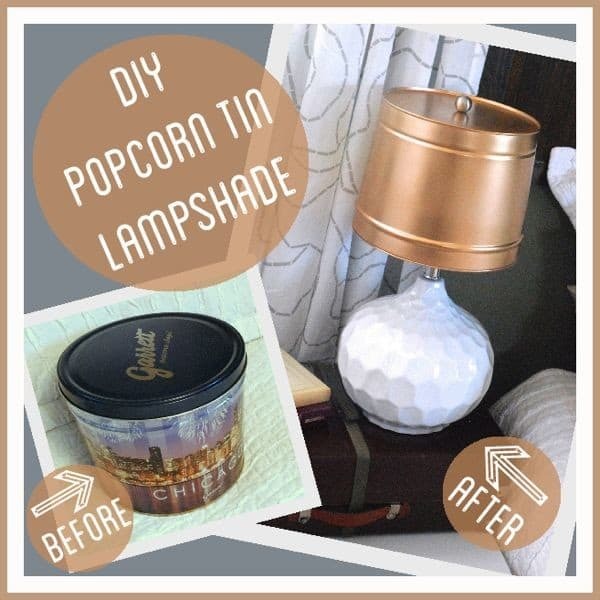 This DIY Popcorn Tin Lampshade was free and fit this lamp perfectly. 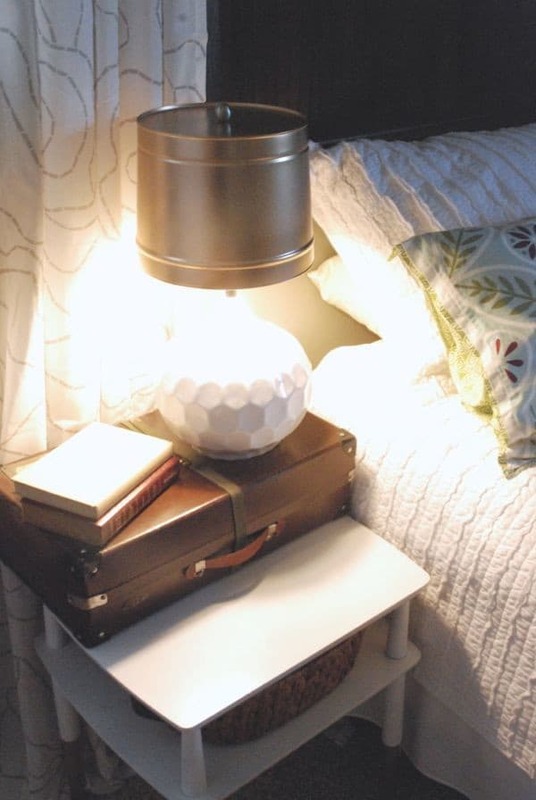 Recently I purchased this lovely “honeycomb” lamp from Target that Matt lovingly calls his “golf ball”. 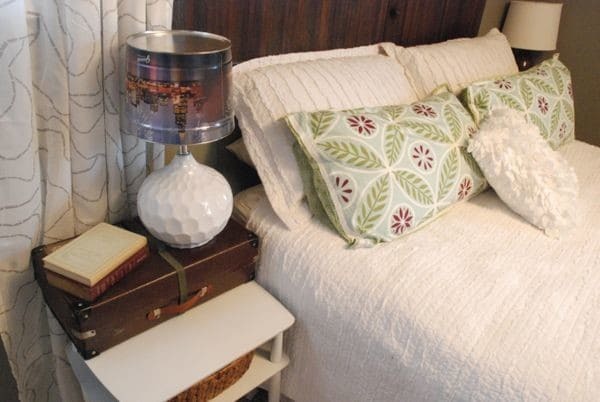 Although I absolutely LOVE the look of it, every lampshade I owned was either too big or too small and I couldn’t find ANYTHING the right size. That’s when I noticed our popcorn tin from Christmas just waiting for it’s calling, hence the DIY Popcorn Tin Lampshade. First I gave it a trial run to see if it would get too hot. I just balanced it on the harp for a good 8 hours with the light on. After 8 hours when it was barely warm to the touch I knew it was “the one”! So then it got a coat of primer, two coats of gold spray paint, and a hole drilled through the top. 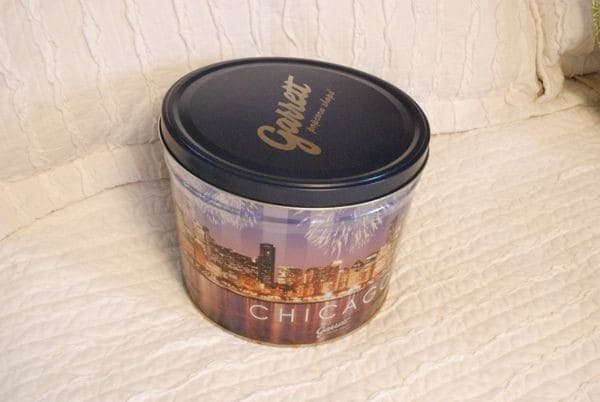 I am totally in love with my DIY popcorn tin lampshade. At night it also gives off a nice “golden” glow. Next time Matt gives me a hard time for hoarding holding on to junk future craft supplies I’ll just remind him of the time I made a lampshade for free! 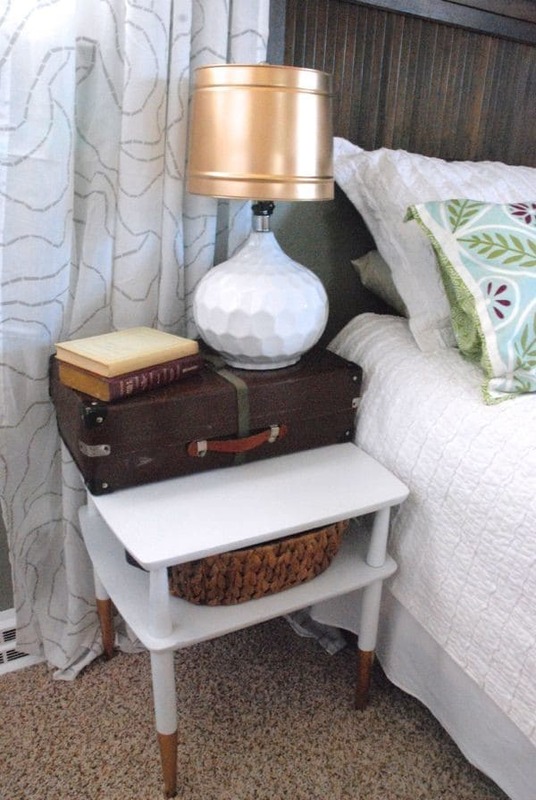 For other budget friendly DIY projects make sure to check out my project gallery! Thanks, and thanks for stopping by and commenting!